‘LEGENDS IN CONCERT’ GETS SET TO OPEN AT THE TROPICANA: “Legends In Concert” will debut as a new residency show at the Tropicana on Monday, Feb. 11. Las Vegas’ longest-running show, 35 years to be exact, will celebrate the move from the Flamingo to the Tropicana with a welcoming event and preview on Thursday, Feb. 7 at 5:30 p.m. at the famed Four Corners. The public will get a complimentary sneak peek concert featuring the show’s all-star lineup of tribute artists paying homage to renowned musical stars such as Lady Gaga, Whitney Houston, Frank Sinatra, and Elvis Presley. KAOS IS COMING TO THE PALMS: The Palms, with its $700 million renovation, is attempting to recapture the property’s previous reputation for being the place to party and be seen. The latest announcement is the new 100,000-square-foot, multi-level dayclub and nightclub called KAOS will open in April. Already signed are artists: Cardi B, English electronic music trio Above & Beyond, Oakland rapper G-Eazy, DJ-producer Kaskade, and Grammy-winning producer and DJ Skrillex. Taking over space previously occupied by the pool and Rain nightclub, KAOS will have multiple stages, an LED wall covering a tower and being able to broadcast, a rotating DJ booth, a six-story bronze sculpture of “Demon with Bowl,” woven technology in the KAOS logo, and much more. NOMAD RESTAURANT IS BREATHTAKING: A recent tour of the new NoMad Restaurant inside the NoMad Las Vegas is the true meaning of “grandeur.” The majestic library setting-dining room features 23-foot ceilings with the surrounding walls completely covered with book selves packed with 25,000 books and many of them from David Rockefeller’s private collection, which you’re allowed to handle. The spectacular interior design was meticulously overseen by French architect Jacques Garcia and inspired by the renowned Royal Portuguese Cabinet of Reading in Rio de Janeiro and the iconic Library of NoMad New York. 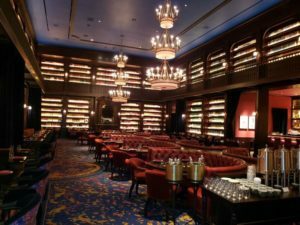 The menu celebrates American classics in a grand and continental way with a balance of accessibility, theatricality and luxury. This is truly one memorable restaurant experience! LAS VEGAS WILL GO ALL OUT FOR THE BIG GAME: Everywhere you turn on Sunday, Feb. 3 whether it be at a restaurant, sports book, bar or private party, the name of the game will be Super Bowl! The big decision is where you want to hang out to watch the action. The biggest sportsbook is at the Westgate, while the fourth annual big game bash will be at the outdoor Downtown Las Vegas Events Center with the event space being the ultimate tailgate environment featuring a 72-foot HD LED screen, private man caves, reservable tables, food trucks, and more. The party is free to enter. ORLEANS ARENA HOSTS OLD SCHOOL 105.7’S LOVE AFFAIR CONCERT: Funk, soul, R&B and old school entertainers from the 1970s and 1980s will headline the Old School 105.7’s Love Affair Concert at the Orleans Arena Saturday, Feb. 9 at 7:30 p.m. Music acts presenting romantic throwback hits will include: Midnight Star, Tierra, Color Me Badd, Ready 4 The World featuring Melvin Riley, Evelyn Champagne King, The Jets, Malo, Peaches & Herb, and Blue Magic. Tickets start at $32.50. 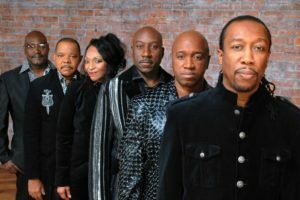 Nostalgia will prevail with the headliners: Midnight Star formed in 1976 at Kentucky State University; Color Me Badd in 1985 releasing their debut R&B album “C.M.B.” selling more than six million copies worldwide; and Latin R&B group Tierra starting their musical career in East Los Angeles in 1972. THE BROKEN YOLK CAFÉ WILL DEBUT AT TOWN SQUARE: Known for inventive and classic breakfast creations, The Broken Yolk Cafe from San Diego will open its first Nevada location in Town Square in March. 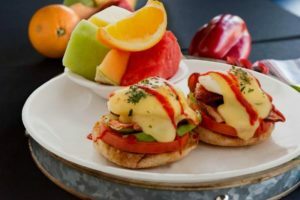 With 31 locations nationwide, the Las Vegas location will be open daily from 6 a.m. to 3 p.m., serving everything from traditional bacon and eggs to specialty dishes including: Tiki Toast; the Golden State Benedict; the Fiesta Burrito; and the Good Morning Burger. Meals can be complemented with Bloody Marys, mimosa flights, sangria and only in Vegas specialty cocktails including, Suit & Thai, Chai Little One, Smoke & Spice and more. Featured on Travel Channel’s “Man v. Food,” the BYC Challenge is a dozen egg omelet filled to the brim with mushrooms, onions and American cheese, then smothered with chili and topped with more cheese. Paired with a generous pile of home fries and two biscuits, individuals who eat it all in under an hour receive the meal for free, along with a t-shirt and a spot on the hall of fame wall. 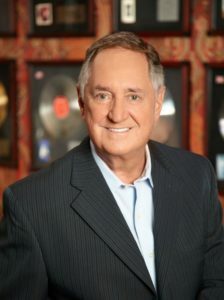 NEIL SEDAKA AND LITTLE RIVER BAND HEADLINE AT THE ORLEANS: Legendary singer-songwriter-pianist Neil Sedaka and harmony rock group Little River Band will be center stage at The Orleans Showroom with 8 p.m. performances. Sedaka, who was inducted into the Songwriters Hall of Fame in 1984, will headline Friday-Saturday, Feb. 1-2. Over his more than 60-year career, Sedaka has had chart-topping hits including “Calendar Girl,” “Breaking Up Is Hard To Do,” “Laughter In The Rain” and many more tunes. The prolific artist has written successful songs for other artists like Frank Sinatra, Tom Jones, The Monkees and The Fifth Dimension. Tickets start at $59.95. Little River Band, best known for top hits “Reminiscing,” “Lonesome Loser” and “The Night Owls,” will headline Saturday, Feb. 9. Throughout the ‘70s and ‘80s, the group released several multi-platinum albums, including “Take it Easy On Me,” “Help Is On Its Way,” “Happy Anniversary” and “The Other Guy.” The group also became the first band to set a record for releasing Top 10 hits for six consecutive years. In 2014, their album “Cuts Like a Diamond” included the No. 1 hit “What If You’re Wrong.” In 2016, for their album “The Hits…Revisited” the band re-recorded their most famous hits, as well as two new songs. Tickets start at $50. CENTURION LOUNGE AT MCCARRAN HAS NEW EXECUTIVE CHEF: Chef Kim Canteenwalla, co-founder of Blau + Associates restaurant group, which features Las Vegas restaurants Honey Salt and Andiron Steak and Sea, is the new executive chef of The Centurion Lounge at McCarran International Airport. 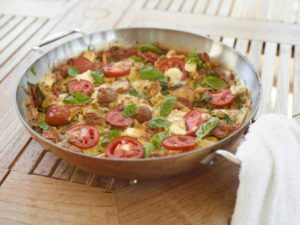 American Express Platinum and Centurion Card Members traveling through Las Vegas are now able to enjoy both healthy and indulgent options such Kim’s Weekend Frittata, the Grain Power Salad, Green Goodness Juice, and Kale & Anaheim Pepper Mac ’n Cheese. The lounge is in Concourse D, opposite Gate D1. In 2013, American Express created The Centurion Lounge for card members to escape while traveling. Amenities include complimentary food and beverages from top chefs, mixologists, and wine specialists, spacious seating and shower suites, working stations, and superior customer service. 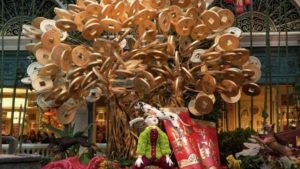 LAS VEGAS HONORS CHINESE NEW YEAR: The most beautiful display acknowledging the 2019 Chinese New Year, Year of the Pig is the Bellagio Conservatory running through March 9. So many elements stand out including: the Temple of the Six Banyan Trees; the flower pagoda guarded by two Chinese Fu Dogs; a replica of the Golden Lotus Statue of Macau in celebration of their 20th year of independence; Chinese lions representing strength and stability; two cherry blossom trees; and lastly eight piglets surrounding a mother and father pig. For the 23rd consecutive year, The Forum Shops at Caesars Palace will welcome 120 Meadows School students performing the traditional dragon parade throughout the shopping destination on the first day of Chinese New Year, Tuesday, Feb. 5 beginning at 9 a.m. Through February, an impressive illuminated Chinese display of a 12-foot high dragon is situated on the Fortuna Terrace near the interior mall entrance. On Friday and Saturday, Feb 8-9, The Forum Shops will offer Mandarin-speaking greeters and Roman Centurions who will distribute a distinctive brochure featuring special offers in honor of Chinese New Year from a variety of retailers at The Forum Shops. Caesars Entertainment properties will host 13 lion dances Friday-Saturday, Feb. 8-9, and Wednesday, Feb.13 starting at each property’s porte cochère and winding through the casino. The schedule includes: Feb. 8: The Cromwell 2 p.m., Flamingo 2:45 p.m., Harrah’s 3:45 p.m., and The LINQ 5 p.m.; Feb. 9: Planet Hollywood noon, Paris 1 p.m., Bally’s 2 p.m., Caesars Palace 5 p.m.; and Feb. 13: Rio 6 p.m. The LINQ Promenade will host a four-day festival Wednesday-Saturday, Feb. 6-9 from 5-9 p.m. starting with a ribbon cutting ceremony with dignitaries at the Fountain Stage on Feb. 6 at 5 p.m. The High Roller will celebrate with a nightly light show every hour starting at 6:30 p.m.There will be live cultural performances on The LINQ Promenade Fountain Stage including the Guizhou Arts Troupe. Traditional lion dance performances by Lohan School of Shaolin will occur nightly at 6 p.m. Boyd Gaming resorts – Gold Coast, Orleans and Suncoast – will ring in The Year of the Pig with celebratory lion dance performances, special gaming promotions and authentic dining experiences. The Gold Coast will host its annual lion dance parade thorough the casino on Wednesday, Feb. 13 at 7 p.m. and 9 p.m. Ping Pang Pong will feature its traditional gold-brick shaped Golden Fortune New Year Sweet Rice Cake, stamped with “999.9 Gold Bar,” now through Tuesday, Feb. 5 for $13.88. The Orleans celebratory Chinese New Year Gala will be Wednesday, Feb. 6 at 8 p.m. Tickets start at $28. Ondori Asian Kitchen will serve a Chinese New Year menu Monday-Wednesday, Feb. 4-6 from 11 a.m. to closing. The Suncoast will have its festive lion dance celebration on Friday, Feb. 15 at 3 p.m. around the casino floor. In commemoration of its one-year anniversary, Asian restaurant Peng Zu will offer a special menu Feb. 8-16. 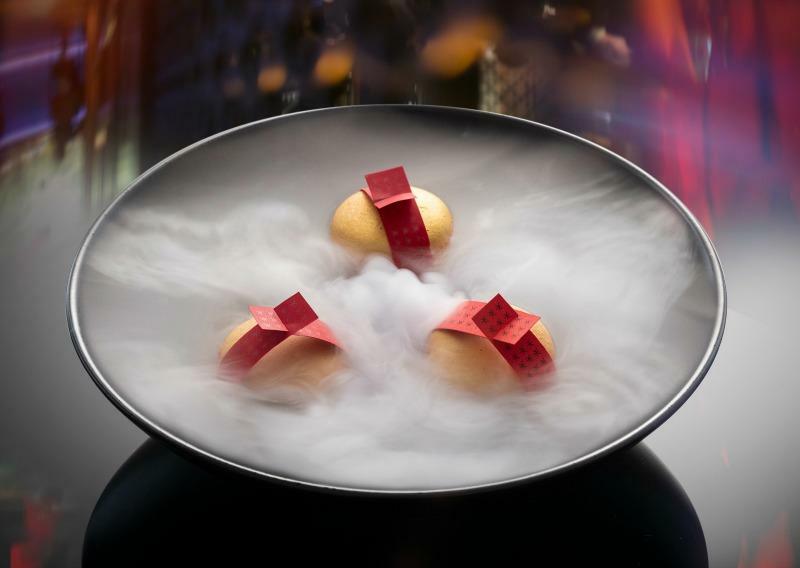 Hakkasan at the MGM Grand from Jan. 28–Feb. 24 is reinventing the classic fortune cookie and offering both an a la carte and prix fixe specialty menu, as well as a curated ping jing cocktail. The fortunes will be written on a ribbon and placed around the Hakkasan macarons, to create the fortune macaron. Hakkasan will feature a traditional lion dance on Tuesday, Feb. 5 at 8 p.m. and celebrate the Year of the Pig with the wishing tree tradition inspired by the Lam Tseun trees in Hong Kong. Hakkasan will be inviting guests to write their wishes for the year ahead on specially designed ribbons which will be hung on the wooden cages in the restaurant. The Rampart Casino in Summerlin will feature its dance on Saturday, Feb. 9 at 9:30 p.m. The $18.88 Chinese New Year Seafood Buffet will be on Tuesday, Feb. 5 from 4-9 p.m. and include steamed and fried Dim Sum. LUPO BY WOLFGANG PUCK HOLDS SIP & SAVOR FUNDRAISER: Wolfgang Puck Fine Dining Group’s signature philanthropic wine and food event, Sip & Savor, will be held at Lupo by Wolfgang Puck inside Mandalay Bay on Tuesday, Feb. 12 from 6 to 9 p.m. Hosted by Chef Wolfgang Puck alongside his culinary team, the evening will offer a selection of Italian food, drinks and inspired music to increase awareness and raise funds for Keep Memory Alive supporting Cleveland Clinic Lou Ruvo Center for Brain Health. Inspired by an Italian street fair, Sip & Savor will bring together a collection of Vegas’ favorite restaurants and chefs serving specialty made-to-order dishes throughout the night. Guests also may indulge in a selection of fine wines from more than 20 wineries, a Negroni bar with an interactive ice lounge hosted by Campari, an Amora tasting bar, house-made Limoncello and much more. Tickets start at $175 for general admission and $225 for VIP and are available on Eventbrite. The Palm Restaurant at The Forum Shops at Caesars is offering a variety of comforting new winter dishes through March 17. Some hearty choices include: an espresso-rubbed grass-fed Filet Mignon; saffron spaghetti à la lobster arrabbiata; pan roasted branzino; and more. Virgil’s Real Barbecue at The LINQ Promenade is now serving breakfast daily Monday-Friday from 8-11 a.m. and brunch on Saturday and Sunday from 8 a.m. to noon. WYNN MASTER CLASSES CONTINUE IN FEBRUARY: The Wynn Master Classes are offering exclusive diverse learning opportunities with established professionals in their field. Leading off the month will be “Caviar Dreams Master Class & Tasting” on Friday, Feb. 8 at 2 p.m. in Lakeside at Wynn. Jim Miller of the fabled Kolikof caviar house will explain how delicacy came to be so popular, how to choose and store it, and what flavors you should look for when tasting premium caviar. Cost is $175. On Friday, Feb. 15, the class will be “Decorate Cakes Like A Pro” held in the Cake Studio at Wynn at 2 p.m. This advanced class with only 12 participants will be led by master cake artist Flora Aghababyan, two-time winner of Food Network’s “Cake Challenge.” Cost is $195. 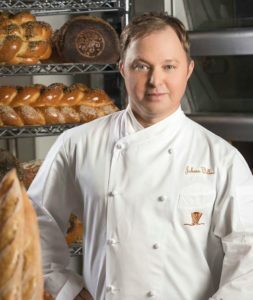 The “Mastering Bread Baking” class will be Friday, Feb. 22 in the Bread Shop at Wynn at 11 a.m. and lead by master artisan baker Johann Willar. Limited to12 participants, cost is $150. 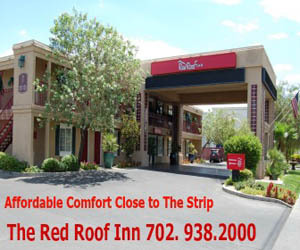 To register for a master call, call 702-770-7070. It seems House of Blues headliner Carlos Santana is also doing another good deed to help the Las Vegas community. 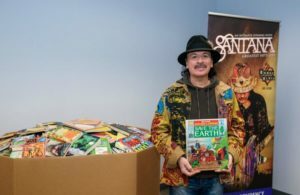 This month the guitar legend made a special visit to Spread the Word Nevada Thursday where he made a donation giving 57 Southern Nevada schools access to 15,000 books. Shake Shack at The District at Green Valley Ranch and Vegas Pub Quiz will launch “Monday Quiz Nights” beginning Feb. 4 from 6-8 p.m. All ages are invited to team up and test their knowledge in a six-round battle of the brain and the chance to win prizes. With an entrée purchase, the cost to play is free and participants receive a free order of Crinkle Cut Fries. The 52 Fridays Concert Series at the Golden Nugget Showroom at 8 p.m. will feature the following acts: The Grass Roots Feb. 1; Los Lobos Feb. 8; Blue Oyster Cult Feb. 15; and The Fabulous Thunderbirds Feb. 22. The LV Craft Show with more than 50 vendors will be held in the Veil Pavilion at the Silverton on Sunday, Fb. 10 from 10 a.m. to 4 p.m. Admission is free. The World Archery Festival: The Vegas Shoot will be held at South Point Friday-Sunday, Feb. 8–10. Prickly Pear Marketing will hold its free inaugural office public open house inside The Arts Factory on East Charleston on Friday, Feb. 1 from 6-9 p.m. Prickly Pear Marketing will feature “Abrasion is Love,” an exhibition of original paintings by Wax Pig Melting frontman Brian Gibson along with musical performances by the featured artist and local alternative rock musicians Bounty Hunter Brothers. 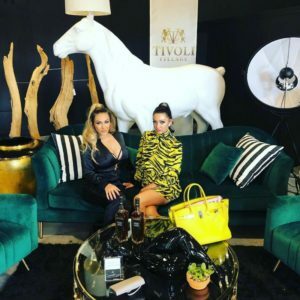 Jersey Shore personality Jen Harley made her first public appearance in Las Vegas at Hamptons, a new spot at Tivoli Village, since her big holiday split with boyfriend Ronnie Ortiz-Magro. She was joined by Heather Marianna, Las Vegas-based beauty expert and TV host. Home furnishings will be front and center this week, Jan. 27-31, with Las Vegas Market taking place at the World Market Center downtown. It’s the winter market and summer market will be July 28-Aug. 1. Illusionist Criss Angel marked the opening of his “Criss Angel MINDFREAK®” show in the newly-renamed Criss Angel Theater at Planet Hollywood. 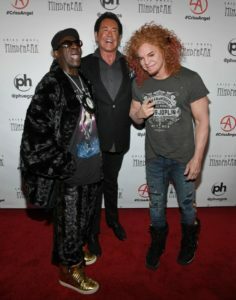 Spotted among the red-carpet celebrities were: actor Gary Oldman; KORN frontman Jonathan Davis; magician and former Las Vegas headliner Lance Burton; Vegas legend Wayne Newton; “Property Brothers” Jonathan and Drew Scott; rapper and TV personality Flavor Flav; comedian and Luxor headliner Carrot Top; Oakland Raiders owner Mark Davis; 6X UFC Champion Randy Couture; Kevin Olusola beatboxer/bass for Pentatonix; Lita Ford former lead guitarist for the Runaways; Lala Kent star of “Vanderpump Rules;” film-TV producer Randall Emmett; DJ Paul founding member of Three 6 Mafia; founding member of 98 Degrees Jeff Timmons; and comedy-magician Mike Hammer. Executives from Caesars Entertainment and BASE Entertainment surprised the headliner with a $10,000 donation to Angel’s Johnny Crisstopher Children’s Charitable Foundation.